In my litigation practice, I defended quite a few cases where a home sale had gone wrong after a closing. Many times it happens because buyers think that sellers failed to disclose “known defects” in a Real Estate Condition Report. Sometimes, such cases turn to how the sellers define items they are required to disclose (although a mistake in definition is not necessarily a viable legal defense in this situation). 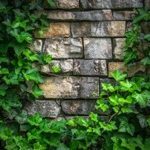 For example, if I am a seller of a home, do I need to disclose in a Real Estate Condition Report that a one-brick-high barrier around my flower bed is missing bricks? Any Real Estate Condition Report requires a disclosure of “known defects” of the walls. Ok, but is my one-brick-high barrier a wall? Practically it does not make sense, but legally? To answer, we need to first figure out what a “wall” is for purposes of disclosure in a Real Estate Condition Report, under the Wisconsin law. The disclosure in the Real Estate Condition Report is a statutory requirement, but the Statutes do not define a “wall” in the relevant Chapter 709. Moreover, a “wall” is not defined in any real estate statutes. It appears that neither does the Wisconsin case law define a “wall” in cases that actually discuss walls and Real Estate Condition Report disclosure requirements, or in real estate cases in general. So then, is the one-brick-high structure around my flower bed a wall, for purposes of a Real Estate Condition Report? Arguably, yes because it is intended for purposes of enclosure of the flower bed. It appears that even a smallest barrier can be considered a wall, as long as its purpose is security or enclosure. The bottom line is this: if in doubt, I really should err on the side of disclosure when it has to do with a Real Estate Condition Report.